By Twinty Karat adapted from an original article by Chitraparna Sinha. Nature and luck are associated with each other from very ancient times. Luck is actually considered a force of nature by some. In fact luck is a combination of natural forces, efforts made by humans and to some extent the effects of star and planet positions on one’s birth date. Trees, plants, fruits, water bodies, rainbows, rain, clouds landmarks and many other things related with nature are considered to bring good luck or bad luck. Creative visualization of the things around you makes you actually feel lucky or unlucky in life. One is very much affected by the things one is surrounded with. Visualization is a very powerful source towards bringing luck at your doors. 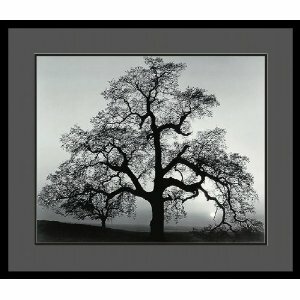 The oak tree is considered to be a great symbol of good luck. Hence the fruit of the oak tree which is called acorn is considered sacred. It is believed that the acorn never faces God’s wrath so no misfortune or bad things can happen to the people who keep acorn fruits in their homes. Some people even wore acorns as charms and amulets around their necks to ward off evil and misfortune. It is also said to keep away thunder and lightning to strike the house where acorns are hung on the window sills. Rain has always been a symbol of good fortune. It is a sign of cleanliness and purity. Rainbows are also bringer of luck relating to wealth and fortune. Another superstition is about eggs being a powerful source of luck. Being a symbol of eternity, it is said that giving a white egg as a gift to a new mother brings good luck to both the child and the mother. A brown egg is said to bring happiness whereas a white brings both happiness and luck. Salts are considered to be a bad luck omen if they are spilled. It is thought to be an insult to the Gods if the salt is touched to the ground. Apples can cure any illness, according the Islamic religion. Hence they are symbols of luck for them. And the Greeks say that it ensures longevity. They are also said to have the power to bring good luck and knowledge. The basil leaves are also known to be epitomes of good luck. In Europe, women wore basil leaves on their hair to bring luck into their married lives and basil leaves were also symbols of love luck for the bachelors. This herb is believed to have luck bringing properties and so it is grown and worshiped in every Hindu Indian homes. Finding a piece of coal on the roadside is considered to be lucky in various parts of the world. The people of England place little pieces of coal on their doorsteps on the last day of the year. This is done to bring good luck into the house with each person who enters the house brings a piece of it into the house along with him. Beans, another gift of nature, are known to be the sparks of life. The Egyptians believe it to be a sign of immortality whereas the Romans believe it to be the symbols to ward off evil. Black-eyed peas are eaten by the people of Europe and some Southern parts of the United States, especially on New Year’s Day as they are said to bring good luck to the person who eats them on that day.